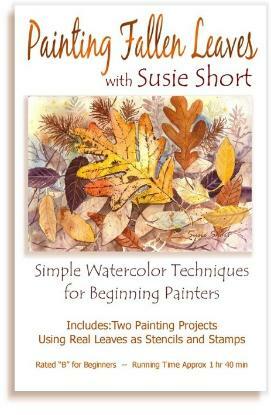 Any additional rich browns, oranges, yellows, and rusty leaf colors! You certainly do not need all of these colors, I'm listing several suggestions. Use what you have in your paint box/palette. medium point Sharpie-type permanent marker. Gathered and collected leaves. A fun attitude and the desire to learn is helpful!